This tote can be used for promoting your brand. It can be embroidered, or imprint for customized art/graphic/logo. 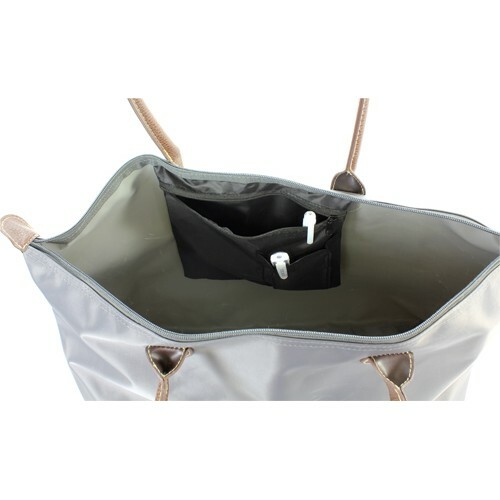 The users will be appreciating its functions being a day purse for work, and a shopping bag for weekend shopping. The nylon material is water resistant and is easy to be cleaned and maintained. The most impressive is its competitive prices. You do not need to spend hundreds of dollars to buy a cost-saving comparable bag to designer. Save your money!